Shake and make your own butter! Jim and Sue Smith and their son Ryker, owners of Tre-G Farms, transitioned their dairy to organic production over the past three years and are farmer-owners of Organic Valley Co-op which produces organic dairy products available nationwide. In addition to the transition to organic they added two robotic milking machines to do the milking on their 140 cow farm which allows the family a little more free time. 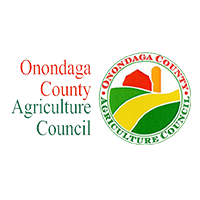 The Smiths have relied on a well-managed, diversified farm to remain sustainable and were awarded the 2013 Conservation Farm of the Year by the Onondaga County Soil & Water Conservation District. Tre-G Farms was also awarded the 2014 NYS Agricultural Environmental Management Award.